With Chinese New Year just around the corner, it’s a common thing that Chinese restaurants have prepared menus specially for the occasion. Being in Kuala Lumpur, I’ve never thought of going to a classy restaurant to have.. well.. a classy dinner. 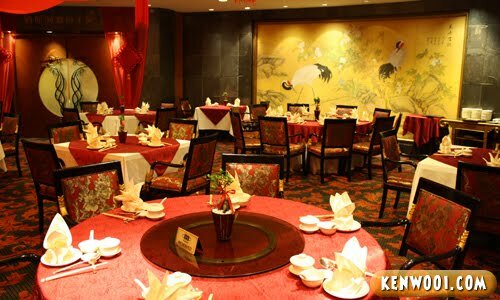 But lucky me, I got invited to have Chinese New Year dinner at Shangai Restaurant, JW Marriott Hotel. Fortunately for me (or unfortunately? ), I’ve never been to Shanghai – so this was my first time tasting authentic Shanghainese food. Like any other classy Chinese restaurants, this restaurant also has the common Chinese settings. Now, let’s continue on with the food. 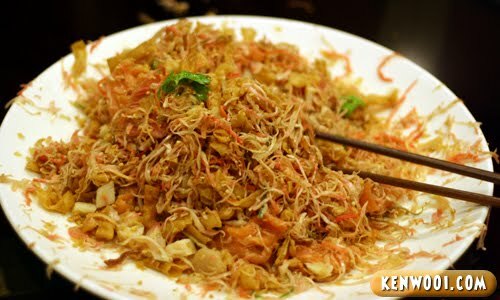 Unlike the typical standard ones, Shanghai Restaurant has an interesting variety of Yee Sang. 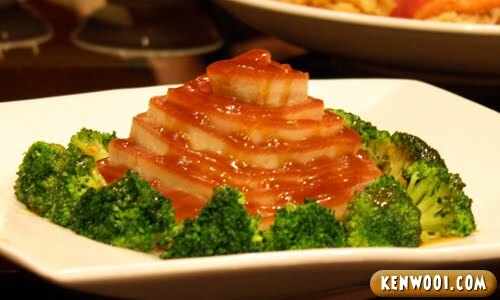 It can be accompanied with different delicacies. 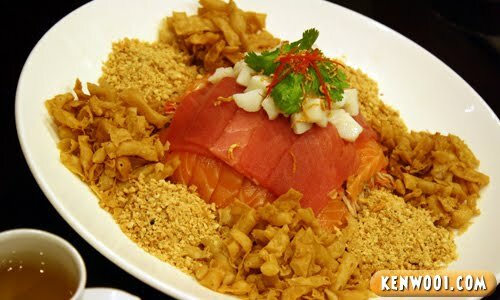 For us, we had Yee Sang with salmon, tuna and scallops. To add the flavour, it was topped with peanut mustard, lemon juice and oil. Pretty different from the usual condiments. With everything set, it’s time to get messy! 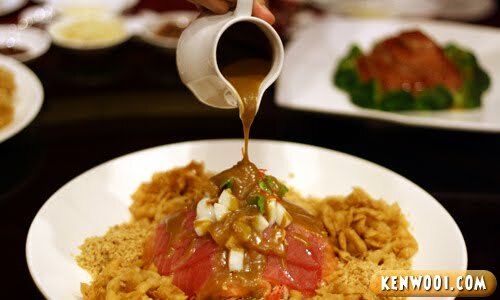 I think lou sang is the only time you can make the table messy, and no one is gonna complain about that! The messier, the better! After a good time tossing and mixing, the aftermath is ready to be eaten! 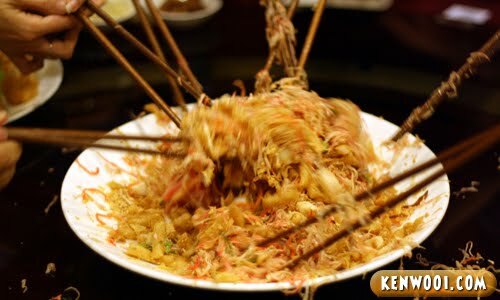 Also, it was my first Yee Sang of 2011 and the first out-of-the-family Yee Sang ever! The dinner started with double-boiled superior soup. 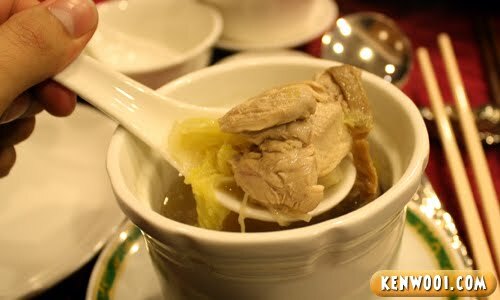 It consists of Chinese cabbage, abalone mushroom, fish maw and chicken meat. The soup tastes alright, and it’s a nice way for start the meal. First up, a plate of Shanghai noodles. It tastes good as it is. However, the inclusion of some meat would make it more appealing. 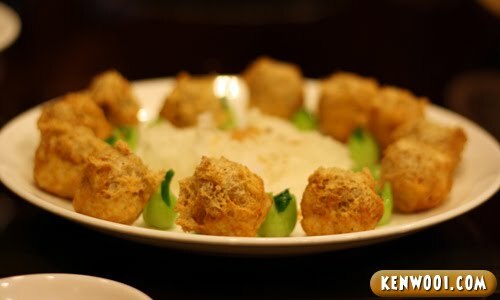 We had these cute balls coated with deep-fried bean curd skin as well. Not knowing what’s inside initially, it tastes delightful on the first bite – the “meat” inside is yummy. I then found out that it’s French goose liver. Also on the menu was steamed Shanghainese meat dumplings. 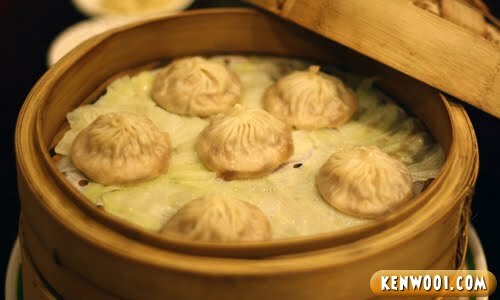 Well-known as siew long bao, it’s Shanghai Restaurant’s specialty. With soft skin and delicate filling, you can sense its pleasant “juiciness”. Then, the stir-fried eggplant was served. 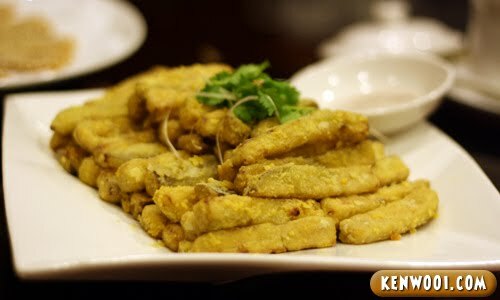 Being coated with salted egg yolk, the outer texture was crunchy – and it doesn’t taste salty. So dipping into the accompanied plate of salt is not necessary at all. 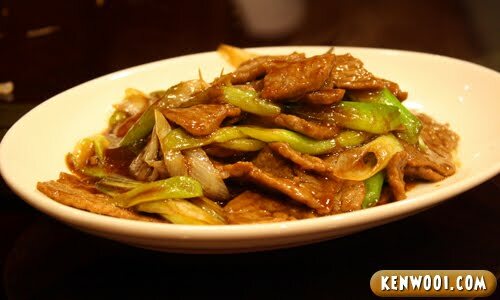 And lastly, stir-fried beef tenderloin. I’m not a fan of beef but this dish is one of the best I had. Not too hard, not too soft and prepared with onion and leek, it tastes and smells great. For dessert, we had glutinous pan cakes (also famously known as nin gou). This has got to be my favourite! Being sliced thinly and coated with sesame seeds, it tastes very delicious. I really wished I could have more of that! 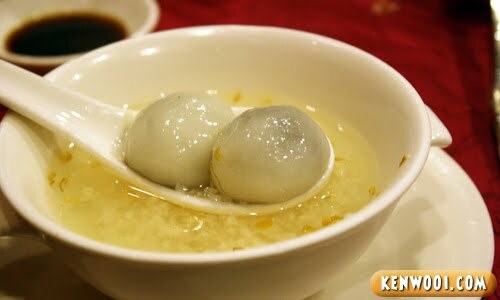 Another dessert served was glutinous rice balls in osmanthus-flavoured rice wine. Frankly, I didn’t like the fragrance of the rice wine, but the 2 balls attracted me. 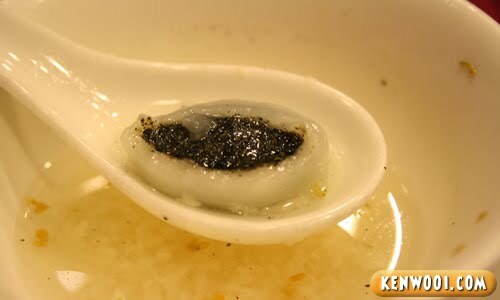 Despite enduring the acquired taste of the rice wine, I really like the black sesame inside the balls. Yum yum. 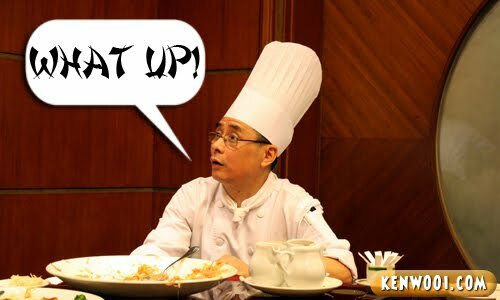 Well, that was the last dish – but it wasn’t the end of the dinner session as Master Chef Wong came to have a chat. He’s from Shanghai. 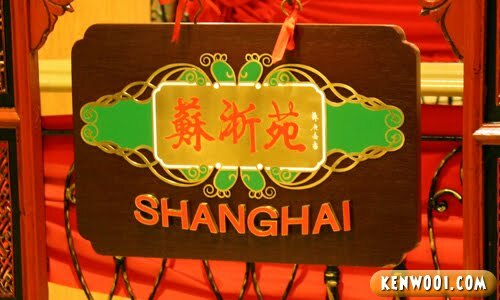 Perhaps the reason why Shanghai Restaurant claims that they serve exquisite Shanghainese cuisine. Being originated from China, he has a strong Chinese accent. What surprises me was the way he greeted his guests when he entered the dining room. Anyway, here are the prices of the 3 Chinese New Year menus prepared by Shanghai Restaurant. The dishes I had were individually selected from these 3 menus. wah..delicious food.. waiting my chance to have a try at there.. 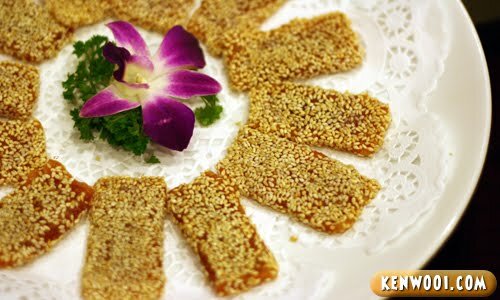 I would love to taste that nin gou with sesame seeds. 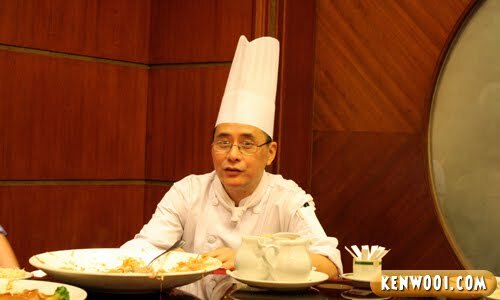 pelik woo masakan cina..huhuhu papepun enjoy!! wow..so geng!! 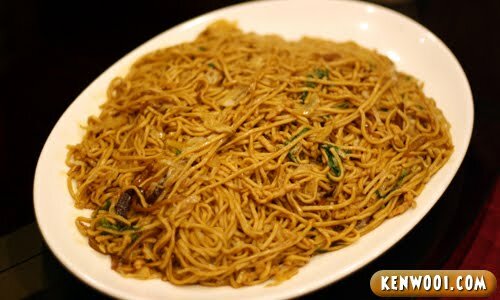 good that u are in KL now.. can savour all the delicacies.. hmmm…. Yummy food!! But sooo blardy expensive! these 3 are the authentic Shanghainese Cuisine. but looks like the set menus are being modified to suit Malaysian’s taste as SHanghainese will order the exactly numbers of appetizer according to number of guest (10 guests means 10 types of appetizer)then only followed by main course and dessert.